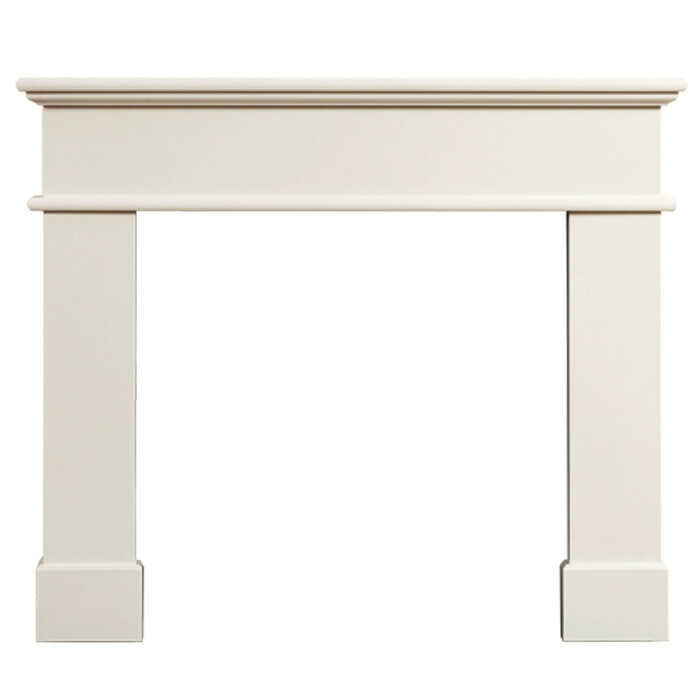 The Gallery Pisa Ivory Micro Marble Fireplace with HE Jubilee Cast Iron Arch consists of the Pisa 54" marble mantel in ivory marble, HE Jubilee cast iron arched insert with cast back and high efficiency gas fire and 54" x 15" hearth. 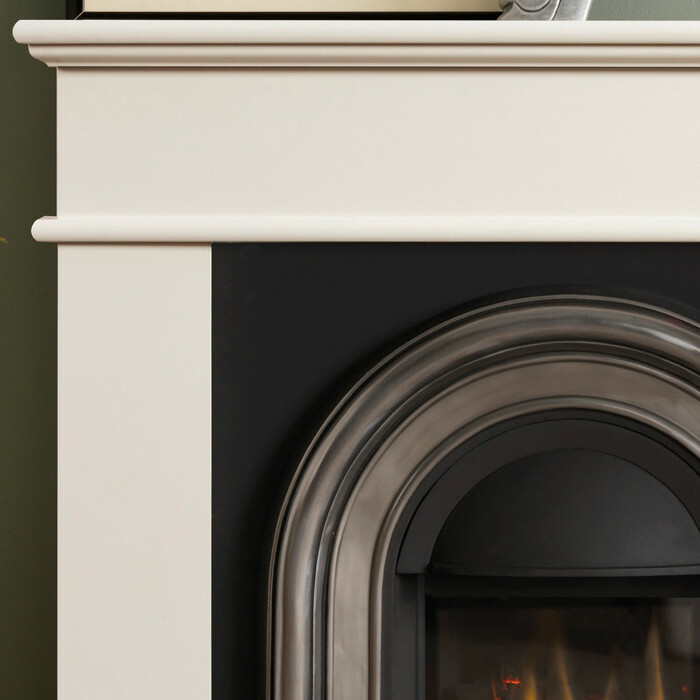 Inspired by mid Victorian fireplaces, the HE Jubilee cast iron insert has a narrow fire chamber with simple decoration around the opening. 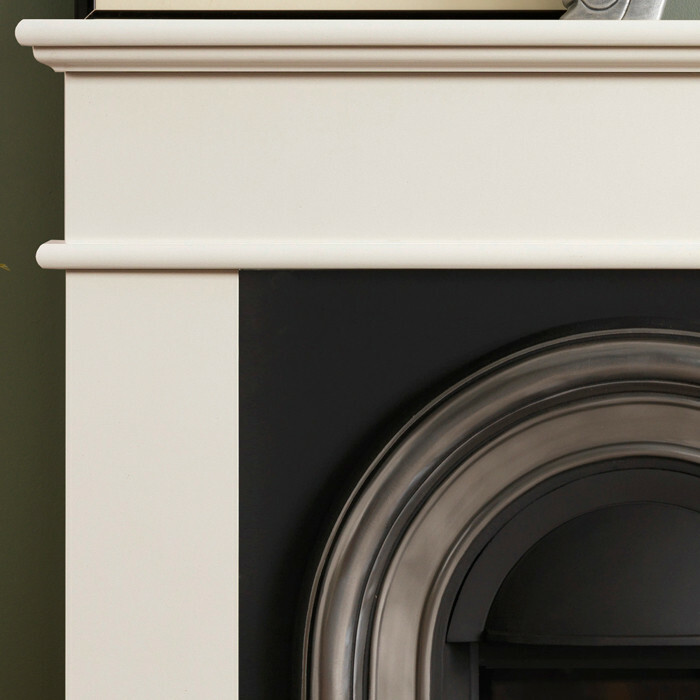 The Gallery HE Jubilee fireplace arch is made from solid cast iron and is glass fronted, with the finishing processes being carried by highly trained craftsmen. 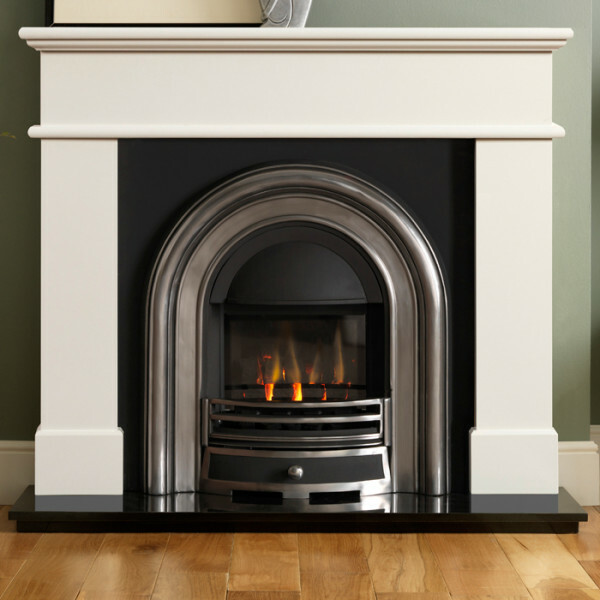 The Gallery Pisa mantel is designed in the style of traditional flat Victorian fireplace surround in ivory marble. Ivory perla micro marble is an engineered stone, manufactured from crushed marble it gives a smooth polished surface and a consistant colour. 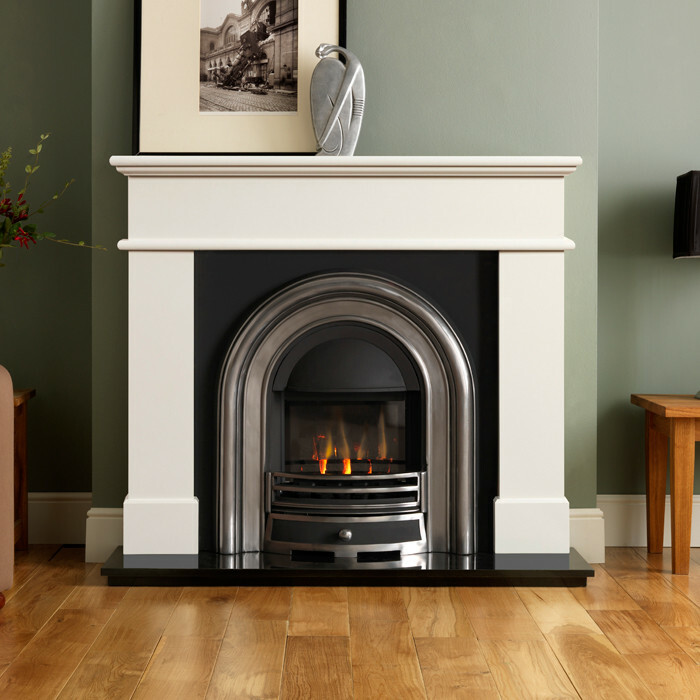 The Class 1 and 2 open fronted fire has an efficiency of 50% and a heat output of up to 3.5kW. 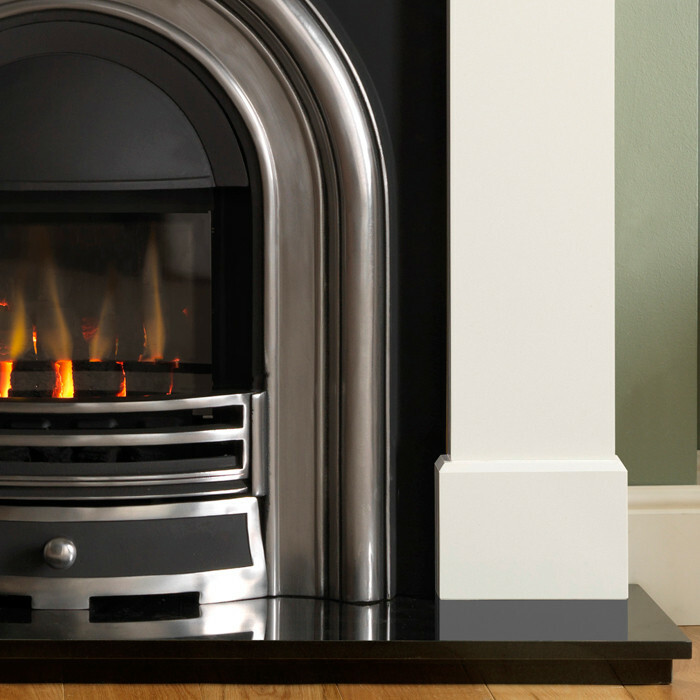 The Class 1 and 2 glass fronted fire has an efficiency of 60% and a heat output of up to 4kW.